This album c/o of Matt Silverman Photography—click left and right to scroll, or click the image to get to his Flickr page. 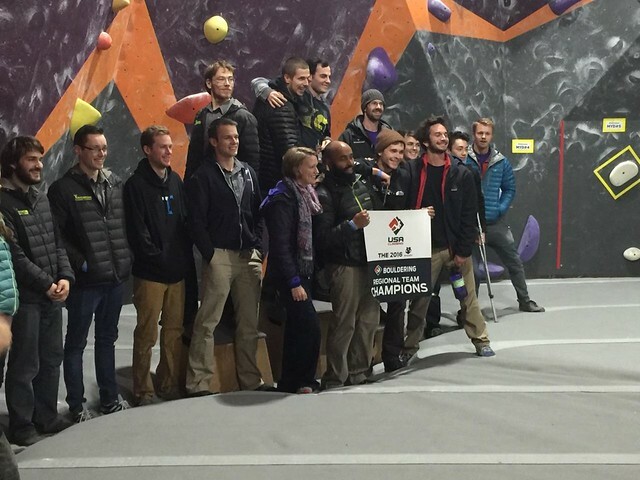 Planet Granite’s Team won the USAC regional bouldering comp Dec. 12 in Sacramento. It was a collective victory based on broad successes by many PG Team competitors. PG’s team claimed two out of three podium places in four different categories. 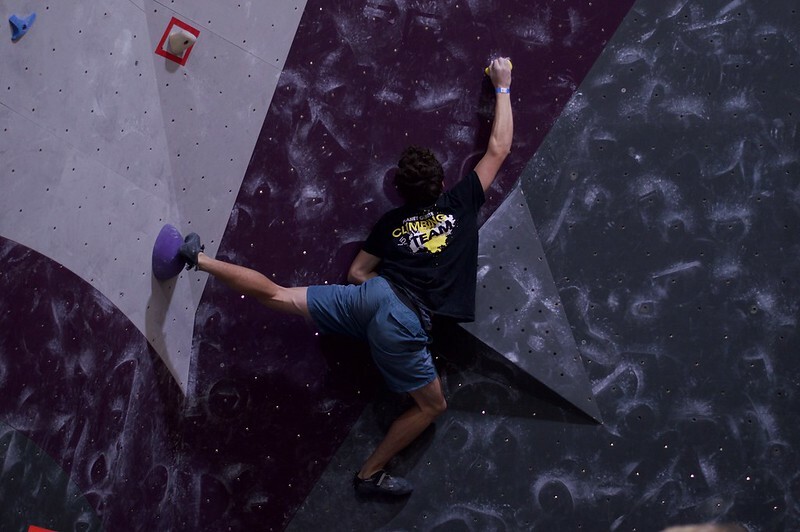 Besides the top finishes, Williams said he was especially proud that 55 climbers made the trip to represent PG, putting their skills to the test. “It was really cool to have so many of the kids turn out and throw their hat in the ring,” Williams said. Congratulations to all the members of Team who competed! We’re proud of their efforts, which are the payoff of countless days of practice in the gyms in the early evening. Congratulate them if you’re in the gym from 4 to 6pm and you see them! Next up for PG’s top Team climbers: Division 2 Championships in Reno in January. PG Team coaches (center) proudly display the banner declaring the Team’s victory.